Obituary for Marion Sicignano | George C. Lima Funeral Home, Inc.
Marion Sicignano, 98, of Hope Street, passed away on April 3, 2018 at Philip Hulitar Inpatient Center. Born in Bristol, she was the daughter of the late Sabato and Caroline (Stanzione) Sicignano. She was the sister in law of Ann Sicignano Paiva and aunt of Mary Louise Medeiros, Carolyn Fasano, Camille King, Mary Teixeira, Patricia Saviano, Susan Souza and Andrew Sicignano. 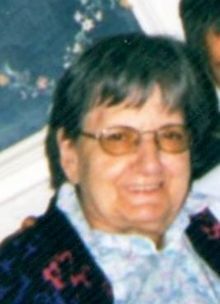 She was sister of the late Rose Servant, John Sicignano, Pasquale Sicignano, Andrew Sicignano and Concetta Teixeira. Marion was a graduate of Colt Memorial High School Class of 1940, and was shipping clerk at Kaiser Aluminum for 38 years before retiring. Friends and family are invited to attend a Mass of Christian Burial on Monday, April 9th, 10AM at Our Lady of Mt. Carmel Church 141 State Street. Burial will follow in St. Mary's Cemetery. Memorial donations may be made to: Our Lady of Mt. Carmel Church 141 State Street Bristol RI 02809, or Hope Hospice Center 1085 North Main St. Providence RI 02904. Memorial donations may be made to: Hope Hospice Center 1085 North Main Street Providence RI 02904.